LUNCH WITH THE BUNNY: Join the River Trails Park District on Saturday (April 6) for lunch, refreshments, treats and an egg hunt from 11:30 a.m. – 12:30 p.m. at Rob Roy Golf Course (505 E. Camp McDonald Dr., PH). Bring a high chair or booster seat if needed for your little one. To request specific seats, register online at www.rtpd.org. For more info, call 847/255-1200. CRAFT FAIR: The arrival of spring signals a flurry of craft fairs. Start the season off by visiting one on Saturday (April 6) from 10 a.m. – 4 p.m. at Moose Lodge (601 N. Main St.). Held by Prospect Lodge 660’s Chapter 1481 if Women of the Moose, it features a bake sale. Admission is free, but donations are welcome. For more info, call Joanna at 847/738-2205. COSMIC PUPPET SHOW: Let your little ones explore the universe with the Jabberwocky Marionettes as they create a fantastic journey into deep space on Saturday (April 6) from 11 – 11:45 a.m. at Mount Prospect Public Library (10 S. Emerson St.). They will enjoy astronaut spacewalking, planet exploration and more. Jabberwocky Marionettes brings original music, handmade puppets and black-box puppet theater to this performance. To register, visit www.mppl.org or call 847/253-5675. LIFE HAPPENS, LAUGH ANYWAY: Enjoy 90-minutes of comedian Tracy DeGraaf’s musings when she performs on Saturday (April 6) from 6 – 7:30 p.m. at Trinity United Methodist Church (605 W. Golf Rd.). She will take you through the seasons of a woman’s life from getting married and having kids to gaining weight and growing a beard . . . and then they meet Jesus! Tickets are $15-$20. To purchase, visit www.trinitymp.org/umw-fundraiser-4-6-19/. For more info, call 847/439-0950. MEET OFFICIALS’ REPS: Meet with a representative from Illinois State Senator Ann Gillespie’s office on Tuesday (April 9) from 6 – 7 p.m. in Room 130 of Mount Prospect Public Library (10 S. Emerson St.). A representative of Congresswoman Jan Shakowsky’s office holds hours in the same location on Wednesday (April 10) from 2 – 5 p.m. Ask questions about immigration, visas, Medicare, Social Security, veterans’ benefits, and other federal services. DIST. 214 COLLEGE FAIR: More than 225 colleges will be represented on Tuesday (April 9) from 6:30 – 8:30 p.m. at Forest View Educational Center (2121 S. Goebbert Rd., AH). Students and their families will have access to course offerings, admissions and financial aid information and also have an opportunity to learn about postsecondary options and build a college list. Interested students should register in advance of the fair at www.strivefair.com. 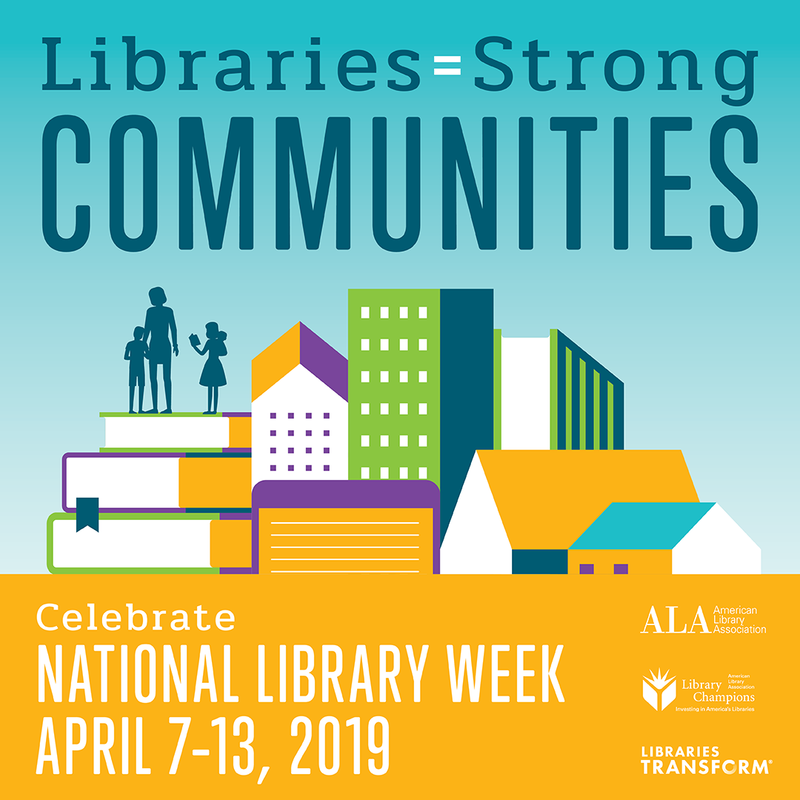 NLW TRIVIA NIGHT: Celebrate National Library Week by participating in a trivia contest on Tuesday (April 9) from 7:30 – 9:30 p.m. at Mount Prospect Public Library (10 S. Emerson St.). Gather a team of two to five participants and test your knowledge in categories including history, pop culture, sports and more. For more info, contact Janine Slayton or Joe Collier at 847/253-5675. —-LENTEN CONCERT: Attend a multilingual concert of sacred music featuring Teresa Scalise and the Rev. Bobby Krueger on Friday (April 5) from 7 – 9 p.m. at the Shrine of Our Lady of Guadalupe (1170 River Rd., DP). The concert is designed to guide your Lenten reflections. The event is free, but a collection will be taken. —-PIANIST PERFORMS: Hear Russian pianist IIya Yakushev perform on Friday (April 5) at 7:30 p.m. at Metropolis Performing Arts Centre (111 W. Campbell St., AH). Yakushev has performed at major venues on three continents. Tickets are $30 at www.metropolisarts.com. For more info, call 847/577-2121. —-THE LETTERMEN: Enjoy the harmonies of this 1960s trio when they perform on Saturday (April 6) at 3 and 7:30 p.m. at Metropolis Performing Arts Centre (111 W. Campbell St., AH). From their 1961 hit, “The Way You Look Tonight” to current hits of today, the sound is undeniably Lettermen. Tickets are $40 – $45 and are available at www.metropolisarts.com or call 847/577-2121. —-ARLINGTON PARK TICKETS: Get ready for a season at the track! Tickets for the Arlington Million go on sale Wednesday (April 10). General Admission tickets for the 37th running of the race will be available at a 37 percent discount for online purchases. To purchase tickets for Arlington International Racecourse events, visit www.arlingtonpark.com. REAL ID ACT: In compliance with the new federal law, Illinois Secretary of State is issuing driver’s licenses and state identification cards, aimed at making such cards more secure. Secretary of State Jesse White said those who want a new ID card must apply in person. They will be marked with a gold star in the top right corner, costing $30, the same as current cards. They will be available at all 138 driver services facilities statewide.